Log incidents and injuries at your facilities. Sometimes accidents happen, and with i-tus you can be sure that you are instantly notified and have a full record of any incidents that have occurred. 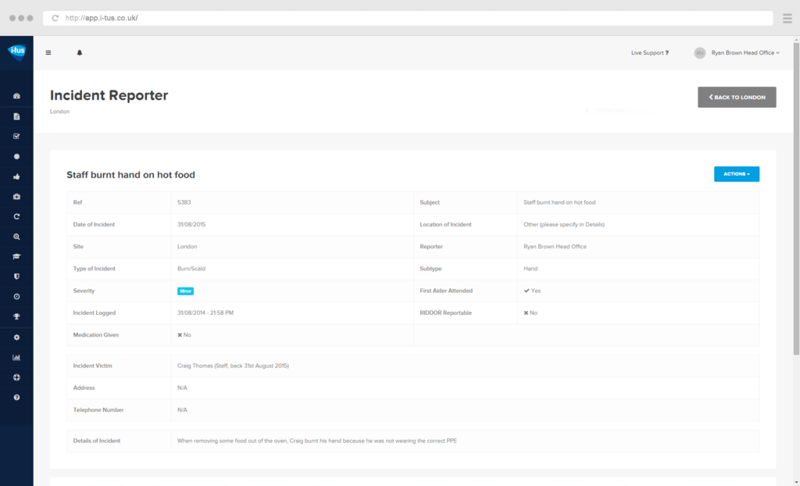 With our powerful reporting function, Incident Reporter allows you to view details from all sites, spot trends and action solutions quickly and effectively.